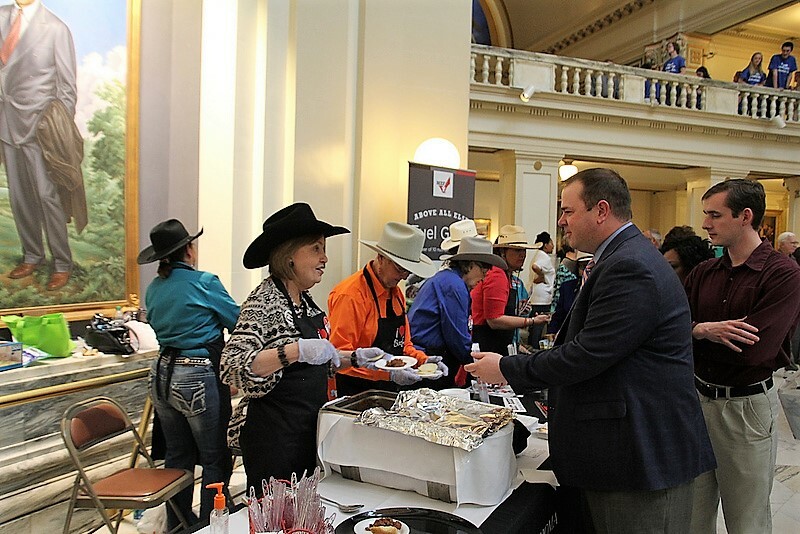 The Oklahoma Department of Agriculture, Food and Forestry will coordinate the 2019 Oklahoma Ag Day at the Capitol on Tuesday April second- and Oklahoma State Secretary of Agriculture Blayne Arthur tells Radio Oklahoma Ag Network Farm Director Ron Hays that it will be a day to celebrate farming and ranching in the state, to reward kids in multiple contests under the Ag in the Classroom banner and honor the newest member of the Oklahoma Ag Hall of Fame that will be inducted as he receives the Governor Stitt Outstanding Achievement in Agriculture Award. Secretary Arthur and Hays talked for a few moments on the phone about the Ag Day plans for 2019- you can hear their conversation by clicking on the LISTEN BAR below. The day inside the Capitol building will include Oklahoma Ag in the Classroom recognizing the winners of the 2019 AITC Coloring and Poster Contest and the new AITC Teacher of the Year, starting at 10 AM in the second floor rotunda area. The 2019 Ag in the Classroom Teacher of the Year is Christie Puckett of Maysville Elementary School. Commodity organizations and several Made in Oklahoma companies will have products for display and for sampling from 10 am til 2 pm in the 4th floor rotunda area. The Governor’s Outstanding Achievement Award in Agriculture will be given. As the recipient of this award, the newest member of the Oklahoma Ag Hall of Fame will be Jimmy Harrel. Harrel is a rancher, farmer and banker. He is CEO and chairman of the board of directors of the Bank of Western Oklahoma in Elk City and Vici. He previously served as high school principal, vocational agriculture instructor and basketball coach at Taloga Public Schools. The presentation will be held in the Senate Assembly Room 535 at 2 PM.